A British tradition is to receive an ‘Annual’ (or two) every year to mark the start of the New Year. In short, an ‘Annual’ is a hard-backed dated book of your favorite comic book, TV show or movie. For me, ‘The Rupert Bear Annual’ was replaced with ‘The Beano’ or ‘The Dandy’, which was ultimately replaced with ‘Star Wars’ Annuals. There were a few years when a Star Wars annual was not published in the late 80’s/early 90’s, but they are once more on my Christmas list each year. 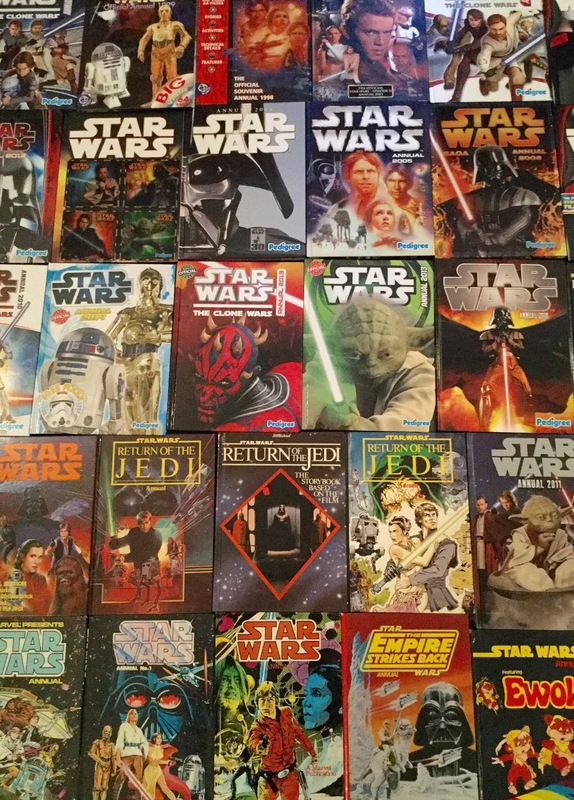 I think I have pretty much every Star Wars annual ever released starting with the original from Christmas of 1977.